DELIBERATELY CREATE WHAT YOU TRULY WANT WITH EASE. 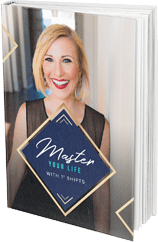 Download my free ‘Master Your Life with 1° Shifts’ Playbook to discover a proven 5-step process to manifest huge visions with small steps. Fulfilling someone else’s idea of a good life is not living. Trying to prove your worthiness with accomplishments doesn’t work. Neither does running away from fears. Are you going to let your doubts destroy you or will you use them as fuel for growth? I break down manifesting in a step-by-step way that anybody can apply to go from 'I have a vision' to 'I have arrived'. You came into this world to turn your pain into gain and live life full out! What if your struggles are the exact seeds needed for your success? Learn how to use the Law of Attraction to transcend limits, master your mind and create a deeply fulfilling life on your own terms! 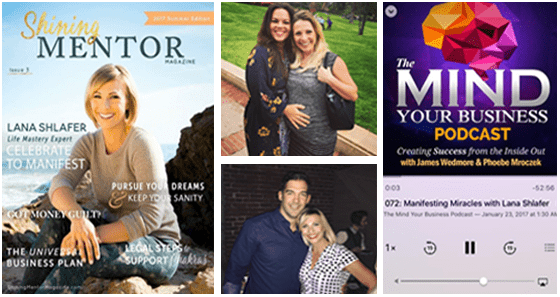 Lana Shlafer is a mindset coach, speaker and founder of the Master Your Life Academy. She studied at UC Berkeley and the Institute of Transpersonal Psychology and is a trained success coach and certified yoga teacher. Through her videos, meditations, courses and events, Lana has helped thousands turn pain to gain, manifest miracles and master their lives. Over 10,000 people have joined her 7-Day Manifesting Challenges and experienced extraordinary breakthroughs and manifestations. Lana has been featured on television and in popular publications such as TVOne, NPR and The Huffington Post. She resides in Southern California with her three kids and husband, and is working on her first book. Read more about Lana's story here.